Students can experience math difficulties for a variety of reasons. Teachers need to be able to identify the source of the problem. Difficulties might stem from the nature of instruction itself, if for example the teacher relies too heavily on rote memorization or if instruction is different from that experienced in prior years. The curricular materials themselves might not be spiraled to build conceptual understanding over time, or the content might not be appropriate for the student's ability level or experiences. Words that have special meaning in math might confuse them. Students might not have a growth mindset and believe their ability to learn math is not in their control. They might not have developed adequate thinking skills to help them remember and recall previous learning. They might be easily distracted and unable to focus on tasks with several steps and procedures. Students might also have a learning disability. A learning disability is a life-long condition that manifests itself "by significant difficulties in acquisition and use of listening, speaking, reading, writing, reasoning, or mathematical abilities, or of social skills" (Kenyon, 2000, Definition section). Dyscalculia is the term applied to learning disabilities involving math. Visual-spatial difficulties and language processing difficulties are major areas contributing to dyscalculia. A math learning disability varies among those who have it and affects people differently at different stages of life. Common characteristics include difficulty with counting, learning number facts, doing math calculations, measurements, telling time, counting money, estimating, mental math, and problem solving (Cortiella & Horowitz, 2014). According to Amy Brodesky, Caroline Parker, Elizabeth Murray, and Lauren Katzman, students' success in mathematics will depend on their strengths and needs related to cognitive processing, language, visual-spatial processing, organization, memory, attention, psycho-social, and fine-motor skills (2002). For elementary and middle schools, Gersten, Beckmann, Clarke, Foegen, Marsh, Star, and Witzel (2009) recommended that all students be screened to identify those at risk for potential mathematics difficulties and that interventions be provided to students identified as at risk (p. 6). Inability to recall basic number facts, or easily forgetting rules, procedures, formulas, or where they are or what they are doing when solving problems. Computational weaknesses. These might also arise because students are not writing numerals clearly, are misreading operation signs in a problem. They might be writing numbers backwards. They might have difficulty keeping score in a game. Inability to connect abstract or conceptual representations with concrete representations or reality. Inability to make connections of math to real life experiences. For example, they might know a number but not see its relation to an actual quantity. They might have difficulty telling time. Difficulty with the language, such as with math terms that do not fit their everyday language, or following directions, or reading the math textbook. Difficulty comprehending the visual-spatial and perceptual aspects of math (e.g., perceptions of changes when objects are moved from one place to another, or working with 2-D representations of 3-D geometric objects). Problems with organization, such as when working with multi-step problems, identifying relevant information in word problems, losing sight of the final goal in problem solving, appreciating the reasonableness of a solution, inability to copy problems correctly, or overload when too many problems are presented at one time on a page to solve. Silver, Strong, and Perini (2007) indicated lack of attention to learning styles (mastery, understanding, interpersonal, and self-expressive) also may lead to math difficulties, and these might be overcome by varying and using multiple instructional strategies. Mastery learners like drills, lectures, demonstrations, and practice. They "may experience difficulty when learning becomes too abstract or involves open-ended questions." Understanding learners appreciate logic, debate, and inquiry and value research projects and independent study and reading. They "may experience difficulty when there is a focus on the social environment of the classroom (e.g., cooperative learning)." Interpersonal learners would value the social environment with cooperative learning, group experiences, discussion, and role playing and may experience difficulty with "independent seat work or when learning lacks real world application." Finally, self-expressive learners like creativity, "open-ended and nonroutine problems" and examining what ifs. For them, difficulties may arise with "drill and practice and rote problem solving" (Part One: Introduction section, Figure C). The key here is to strike a balance in a selecting instructional strategies, as students can work in all four styles. (2008, June 19). Addressing the needs of students with disabilities in math (Part 1). In part 1, I present the nature of accommodations and assistive technologies that might be needed in math classes and resources for expanding your knowledge on inclusion, teaching strategies, and products appropriate for individuals with disabilities. (2008, June 26). Students with disabilities: Software and learning support for math (Part 2). In part 2, I delve further into specific math software and learning support materials and tools for individuals with visual, pencil, cognitive, learning, and hearing impairments. The software is not necessarily restricted for use by particular groups of learners with specific disabilities. When developed according to principles of universal design noted at the Center for Applied Special Technology, the programs would be appropriate considerations for all learners. Several vendors noted have software and appropriate hardware for other subject areas. These and the additional resources provided, including databases of software, hardware, and other assistive technology and checklists for software accessibility, make this snapshot of value to all K-12 educators and parents. PARCC Assessments: Accessibility: The Partnership for Assessment of Readiness for College and Careers (PARCC) includes a series of common policies related to assessment administration, scoring and the reporting of Common Core test results. There is a manual that addresses accessibility and test accommodations for learners with disabilities and English language learners. SBAC Assessments: Read updates for Accessibility, and Accommodations that outline the kinds of testing supports and tools that will be made available to all students, and particularly those with disabilities and English-language learners for the Common Core assessments. There are many forms of assistive technologies. For example, there are alternative input devices, Braille embossers, keyboard filters, light signaler alerts, on-screen keyboards, reading tools and learning disabilities programs, refreshable Braille displays, screen enlargers or screen magnifiers, screen readers, speech recognition or voice recognition programs, text-to-speech or speech synthesizers, talking and large-print word processors, and TTY/TDD conversion modems. Microsoft lists Assistive Technology Providers whose products support compatibility with Microsoft technology. Categories include vision, learning, mobility and dexterity, and language and communication. Wisconsin Assistive Technology Initiative (WATI): WATI produced a resource manual for school district teams. The complete version of Assessing Students' Needs for Assistive Technology (ASNAT) 5th Edition (2009) is available online for free. Chapter 8 addresses Assistive Technology for Math---of interest is that CT4ME is listed among resources for virtual manipulatives. Lynn Fuchs and Douglas Fuchs (2001) said that prevention of math difficulties in this country is generally ineffective for all students, including the learning disabled (p. 85). Part of the problem might lie with textbooks used, which form the basis for the majority of instruction that takes place in classrooms. Texts might not adhere to important instructional principles that affect learning. For example, those principles include: “providing clear objectives, teaching 1 new concept or skill at a time, reviewing background knowledge, providing explicit explanations, structuring the use of instructional time efficiently, providing adequate practice, structuring appropriate review, and organizing effective feedback” (p. 85). However, there is research on intervention providing evidence of methods to prevent and treat math difficulties. Fuchs and Fuchs (2001) discussed Principles for the Prevention and Intervention of Mathematics Difficulties at three levels. In essence, primary prevention focuses on universal design; secondary prevention (i.e., prereferral intervention), focuses on adaptations within the regular classroom; and tertiary prevention (i.e., intervention) focuses on highly individualized intensive and explicit contextualization of skill-based instruction. After its review of 26 high-quality studies related to teaching low achieving students and students with learning disabilities, mostly using randomized control designs, the National Mathematics Advisory Panel concluded that explicit methods of instruction are effective with both groups of students. In particular, "Explicit systematic instruction was found to improve the performance of students with learning disabilities in computation, solving word problems, and solving problems that require the application of mathematics to novel situations" (p. 48). Although the Panel recommended some explicit systematic instruction, "This kind of instruction should not comprise all the mathematics instruction these students receive" (p. 49). Quick pace with varied instructional activities and high levels of engagement. Students benefit from active involvement (e.g., discussing, writing, computing, problem solving) within “a greater range of grouping arrangements” for carrying out activities. Challenging standards for achievement. Motivating statements convey high expectations that everyone will learn, and convey more than just trying to convince students that activities will be fun and interesting. Self-verbalization methods. Self-verbalization strategies for approaching and solving problems benefit students with learning disabilities, and low-, average-, and high-performing students. For example, problem solving performance has been shown to improve by memorizing and verbalizing seven cognitive steps: “read the problem, paraphrase, visualize with a picture or diagram, hypothesize a plan to solve the problem, estimate the answer, compute, and check” (p. 87). Physical and visual representations of number concepts or problem-solving situations. The physical and visual representations help build conceptual understanding, facilitate application of procedural knowledge, and long term retention of procedural competence. Instructional design that eases the learning challenge (e.g., via "precise explanations and with the use of carefully sequenced and integrated instruction," beginning with "teaching a set of foundational skills the student can apply across the entire program." Per the National Center on Intensive Intervention (2016), any implementation of explicit, systematic instruction should include six components: an advance organizer (i.e., lesson objective and its relevance to everyday life), assessment of background knowledge (i.e., prerequisite skills needed to be successful with the new concept), modeling, guided practice with the bulk of instruction occurring here, independent practice, and maintenance. Maintenance involves distributed practice assessments on a specific skill, strategy, or concept at regularly scheduled intervals, and may include cumulative practice (pp. 3-4). Secondary prevention strategies that might work at this level include goal setting, self-monitoring of task completion and work quality, computer-assisted instruction, concrete representations of numbers and number concepts, and reinforcement. However, unresponsive students might yet need the tertiary level of intervention (Fuchs & Fuchs, 2001). A focus on the individual student as the unit of instructional decision making. Constructivist influences are found in instructional practices. When focusing on the individual student (individually referenced decision making), teachers do not prejudge the efficacy of a particular instructional method. Judgment can only be made after trying a method to see if it does or does not work for a learner. Intensive instructional delivery. Intensive instruction includes, but is not limited to, one-to-one tutoring. 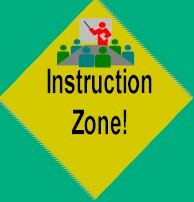 Group lessons can also involve intensive instruction. Representative of a broader set of instructional features are “(1) high rates of active responding at appropriate levels, (2) careful matching of instruction with the individual student’s skill levels, (3) instructional cues, prompts, and fading to support approximations to correct responding, and (4) detailed task-focused feedback” (p. 92). Explicit contextualization of skills-based instruction. Rather than teaching basic-skills in isolation, such skills are explicitly taught situated within a context of application. For example, students might be explicitly taught four ways that transfer occurs in mathematics: “problems can look different, can ask questions in a different way, can use different vocabulary, and can imbed skills within larger problem-solving contexts” (p. 92). Further, teachers would make “transparent the connections between knowledge acquisition and knowledge application, rather than leaving the student to discover those connections more incidentally” (p. 93). According to Kristine Augustyniak, Jacqueline Murphy, and Donna Phillips (2005), the current emphasis on targeted interventions for students makes it important for educators to refine their knowledge of the different learning disabilities and how they might be manifested in children. The federal government’s current classification system includes reading, language arts, and mathematics as three specific areas of deficit. The government presumes the disabilities are associated with a central nervous system dysfunction. In Psychological Perspectives in Assessing Mathematics Learning Needs, Augustyiak, Murphy, and Phillips (2005) discussed relevant factors in learning mathematics and proposed several teaching strategies that may prove helpful for learners with hypothesized primary skill deficits in mathematics. Their suggested strategies are summarized in Table 1. Research in developmental, cognitive, social, and neuro-psychology has shed light on factors related to learning mathematics and the nature of math learning disability (MLD). Typically, students with MLD require over-learning to retain skills required in math. Developing numerical skills involves specialized arithmetic language, comprehension of quantity, reasoning, and an ability to convert words (verbal or written) and visual forms into symbols and vice-versa. A visual-spatial impairment “is often evidenced as problems in discriminating between similar letters, copying shapes and figures, using computerized answer sheets, making sense of graphs and charts, and lining up numbers in math problems.” Those with spatial acalculia might rotate or omit numbers, misread arithmetic signs, have difficulty with lining up numbers in columns and placing of decimals. (Augustyniak, Murphy, & Phillips, 2005, p. 279). Cognitive skill development relates to learners’ abilities to perceive, sustain attention, organize, remember, and monitor information such as distinguishing between essential and non-essential details. However, one should not assume that deficits can be attributed to a specific learning disability. There is great variability in normal development of those skills. Math performance might be impeded because the student’s higher order cognitive skills are just underdeveloped. Thus, an assessment of specific neuropsychological abilities is potentially unreliable. Yet when paired with assessments of academic skills, both can inform an intervention. (Augustyniak, Murphy, & Phillips, 2005). Development of cognitive skills in math is closely aligned with Jean Piaget's theory of cognitive development. Readers might be interested in David Moursund's (2010) six-level, Piagetian-type, math cognitive development scale found in IAE-pedia. The scale examines math development from birth to becoming a true mathematician. You can also learn more about math learning disorders. As an intervention for developing cognitive skills, educators might consider BrainWare Safari. This award-winning software program develops 41 cognitive skills in six areas: attention, memory, sensory integration, visual processing, auditory processing, and logic/reasoning. It has an entertaining and motivating video-game format with a jungle theme. According to its developer, Brainware Learning Company (2017), "By improving students’ underlying mental processing skills, it enables them to be more successful across the curriculum, whether in reading, math or other subject matter. BrainWare Safari benefits all students, not just those with special needs" (para. 1). Social aspects of learning math are influenced by students’ beliefs about how math is learned (e.g., memorization, only one correct way to solve a problem, quick solutions), beliefs about oneself in relation to math, and beliefs about the social context of math learning and problem solving. Problems are manifested in emotions and behaviors such as frustration, lack of motivation, and poor problem solving strategies. A constructivist approach to teaching and learning is recommended that includes making math relevant to real-life situations, hands-on involvement, and exploration within a flexible learning environment. (Augustyniak, Murphy, & Phillips, 2005). Russell Gersten and Benjamin Clarke (2007) presented evidence-based practices that have been shown to be consistently effective in teaching students who have difficulties in mathematics, including special education students and other low-achievers. From their review of studies, they also concluded that the "principles that emerged from the research seem appropriate for instruction in a variety of situations and possible settings." Visual and graphic depictions of problems: Effect size was 0.50 (moderate) for special education students. " An interesting finding for the use of graphics and visual organizers was that the specificity of the visual representation determined the effectiveness of the intervention. When teachers presented graphic depictions of problem-solving sets with multiple examples and had students practice using their own graphic organizers with specific guidance by the teacher on which visuals to select and why, the effects were much larger than when students did not have this practice or guidance" (p. 1). Student Think-Alouds: Effect size was 0.98 (large) for special education students. "The process of encouraging students to verbalize their thinking—by talking, writing, or drawing the steps they used in solving a problem— was consistently effective. In part, this procedure may be effective because the impulsive approach to solving problems taken by many students with mathematics difficulties was addressed" (p. 2). In one set of studies, verbalization also helped to anchor learners behaviorally and mathematically. Use of structured peer-assisted learning activities involving heterogeneous ability groupings: Effect size was 0.42 (moderate) for special education students and 0.62 (large) for low-achievers. Formative Assessment Data provided to teachers and directly to students: Effect sizes when such data was provided to teachers (0.31) of special education students and directly to special education students (0.33) were low to moderate; effect sizes for such data provided to teachers (0.51) of low-achieving students and directly to low-achieving students (0.57) was moderate. "The use of ongoing formative assessment data invariably improved mathematics achievement of students with mathematics disability" (p. 2). The IRIS Center at Vanderbilt University provides the steps in an explicit or direct instruction lesson. The National Institute for Direct Instruction includes a list of programs in multiple content areas that use direct instruction and research on this topic. You'll also find an online tutorial: Implementing Direct Instruction Successfully. A tiered approach to teaching mathematics is most likely the most effective method to addressing the issues of math difficulties that exist among learners in the same classroom. According to David Suarez (2007), underperforming students might be bored or overwhelmed by a single approach to learning. "Through tiered instruction, students at different ends of the ability spectrum find success in math class" (p. 60). His approach consists of thematic units. Learners choose from green, blue, and black levels of difficulty in both instructional materials and assessments, and can vary their choices from unit to unit. A green level designates foundational and meets grade level standards for proficiency, blue is intermediate, and black is advanced offering the greatest level of challenge sometimes requiring learners to tackle unfamiliar tasks. Learners find choices motivational and provide experience taking charge of their own learning. This tiered instruction has a theoretical foundation in the works of Lev Vygotsky's zone of proximal development, Mihaly Csikszentmihalyi's perspective on how to create joyful concentration, Eric Jensen's work on how stress affects learning, and William Glasser's choice theory. Suarez maintains a blog, Challenge by Choice, on tiered instruction in math, where he elaborates on this method and offers videos, examples, and results from his implementation with a colleague at the Jakarta International School in Indonesia. The Tiered Curriculum Project from the Indiana Department of Education further exemplifies this method for K-12. This project includes examples of tiered lessons for mathematics, science, and language arts differentiated by readiness, interest, and learning styles. For more on eight steps for creating a tiered lesson, read Tiered Lessons: One Way To Differentiate Mathematics Instruction by Rebecca L. Pierce and Cheryll M. Adams (2004). Use scaffolding for building computational and conceptual skills, frequent teacher questioning, and student response. Increase exposure to basal math curriculums. Individualize instruction using small groups. Here teachers can simplify language and instructions for those who need it. Similar students can also make and/or add to their own math dictionaries. These might contain the terms reviewed prior to new lessons for further practice and reinforcement. Use daily 2-3 minute long timed tests to review and monitor progress. The immediate feedback helps teachers to adjust instruction for the day. Rather than using traditional worksheets, consider drill and practice using board games, Math Jeopardy, puzzles, dot-to-dots, color by numbers where numbers are obtained by computing math problems. Provide students with copies of problems to compute that are already written out for them. Use visual aids so that students receive both auditory and visual reinforcement of concepts. Scaffold learning of place value and lining up numbers by having students use grid paper, or turning lined paper sideways to create columns. Use manipulatives. Review terms before new instruction or testing. Teach students to highlight key words in problem solving. Write or illustrate critical information and directions to focus attention on key concepts. When working on a series of problems, it is helpful to call attention to changes in operations. Students might first highlight each operation in a different color to call attention to those changes. Use the computer for drill and practice; monitor student performance; preview software for its appropriateness and level of difficulty for the student/ MLD students might need extra time to process information and respond. Rather than just call on them, a private agreed-upon signal between the teacher and student might build confidence. For example, a raised hand with closed fist might mean “I’m thinking and want to participate.” When the hand opens, the teacher would know to call on the student. Make math relevant to real-life. When developing word problems, use familiar names and places. Use cooperative learning and encourage students to take on different roles within the group. Have students create their own problems individually or within a group. Adapted from: Augustyniak, K., Murphy, J., & Phillips, D. (2005). Psychological perspectives in assessing mathematics learning needs. Journal of Instructional Psychology, 32(4), 277-286. As one examines Table 1 above, you observe that using drill and practice and related software is included among those recommendations, as is the use of manipulatives. Interventions at all grade levels should devote about 10 minutes in each session to building fluent retrieval of basic arithmetic facts. Low teacher/student ratio (10 or fewer). The teacher should be actively engaged with students 90% of the time. There are few, if any, interruptions. The teacher uses differentiated instruction. The teacher uses research-based strategies: manipulatives, modeling, scaffolding, questioning techniques, student reflection and writing, direct instruction on how to use calculators, math taught in context, and so on. There are frequent assessments, which are then used to adjust instruction accordingly. Students' work matches their areas of weakness. Highly-structured classroom management: students know where to find materials, directions, and know classroom procedures. In terms of those frequent assessments, teachers and their school districts might consider adaptive testing software, which can be easily administered several times a school year to determine individual needs and to give a measure of class growth on state standards benchmarks. The National Center on Intensive Intervention has a tools chart for academic progress monitoring with multiple options, such as AIMSweb from Pearson Education, STAR Math and Accelerated Math from Renaissance Learning. Ascend Math provides Tier 2/Tier 3 math intervention for learners principally in grades K-8, including progress monitoring. It can also be used with special education learners and ELL/ESOL learners (it includes Spanish and English video based lessons), gifted/talented, and used for algebra readiness. It supports Common Core and state standards. Responsiveness to Intervention is typically a three-tiered method for early identification of students who may be at risk for learning disabilities/difficulties. Briefly per MDRC (2017), Tier 1 instruction is provided generally to an entire class, Tier 2 to students requiring some additional help and might be in small groups for tutoring, and Tier 3 to students requiring the most help and individualized attention. K-8 math educators will value RtI in Math: Evidence-Based Interventions for Struggling Students by Linda Forbringer and Wendy Fuchs (2014). The authors address evidence-based interventions found in the recommendations from the Institute of Education Sciences Practice Guide, Assisting students struggling with mathematics: Response to Intervention (RtI) for elementary and middle schools. In Understanding RTI in Mathematics: Proven Methods and Applications, Russell Gersten and Rebecca Newman-Gonchar, editors, (2011) with contributions from numerous experts on RtI in math from around the country combine evidence-based strategies with practical guidelines for implementing RtI in K-12. Learn what RtI is, why it works, and how to use it. Gersten, R., Beckmann, S., Clarke, B., Foegen, A., Marsh, L., Star, J. R., & Witzel, B. (2009, April). Assisting students struggling with mathematics: Response to Intervention (RtI) for elementary and middle schools (NCEE 2009-4060). Washington, DC: National Center for Education Evaluation and Regional Assistance, Institute of Education Sciences, U.S. Department of Education. Retrieved from https://ies.ed.gov/ncee/wwc/PracticeGuide/2 The authors' "goal in this practice guide is to provide suggestions for assessing students’ mathematics abilities and implementing mathematics interventions within an RtI framework, in a way that reflects the best evidence on effective practices in mathematics interventions" (p. 4). Eight recommendations are included, along with a list of 12 examples of math problems to illustrate concepts. MDRC. (2017, May). Tiered systems of support: Practical considerations for school districts. Retrieved from https://www.mdrc.org/sites/default/files/Tiered_Support_practical_considerations.pdf This Issue Focus outlines six practical considerations for schools that wish to implement a tiered system: scheduling, duration and intensity, curriculum, staffing, intervention content, and balancing tier 2 and tier 3. The following will help you to learn more on this process and also provide you with some companies offering RTI software. American Speech-Language-Hearing Association: What is Response to Intervention? ASCD: Response to Intervention Resources are listed within each of three tiers. Curriculum Associates includes an extensive list of Response to Intervention resources in reading and mathematics among its products. Evidence Based Intervention Network: Math Interventions from the University of Missouri have been classified by possible academic reason for the math difficulty: acquisition, proficiency, generalization, or motivation. The EBI Network also provides intervention resources for reading and behavior, RTI and English Language Learners. Intervention Central: RTI Resources Intervention Central "is committed to the goal of making quality Response-to-Intervention resources available to educators at no cost. The site was created in 2000 by Jim Wright, a school psychologist and school administrator from Central New York. Visit to check out newly posted academic and behavioral intervention strategies, download publications on effective teaching practices, and use tools that streamline classroom assessment and intervention." National Center on Intensive Intervention supports "implementation of data-based individualization in reading, mathematics, and behavior for students with severe and persistent learning and/or behavioral needs" (About Us section). The academic progress monitoring tools are of particular value to math educators. National Center on Response to Intervention contains four areas to help with RTI--screening, progress monitoring, multi-level prevention system, and data-based decision making. Of value is the list of screening tools that the Center has reviewed. Pearson: aimsweb is a RTI solution, which provides universal screening, progress monitoring, and data management for K-12. Per Pearson, it includes "assessments for fundamental reading, math, spelling, and writing skills for grades K-8, as well as norms for K-12." RTI Math Interventions from the Educational Service Unit #1 in Nebraska contains specific math interventions ranging from least intensive to moderate/intensive interventions. RTI Action Network contains resources for response to intervention for preK, K-5, middle school, high school, parents and families. Of particular interest related to mathematics are the podcast RTI and Improved Math Achievement featuring David Allsopp and the essay RTI and Math Instruction by Dr. Amanda VanDerHeyden. Wrightslaw: What You Need to Know about IDEA 2004 Response to Intervention (RTI): New Ways to Identify Specific Learning Disabilities has numerous articles and links to other web sites on this topic. Augustyniak, K., Murphy, J., & Phillips, D. (2005). Psychological perspectives in assessing mathematics learning needs. Journal of Instructional Psychology, 32(4), 277-286. Fuchs, L., & Fuchs, D. (2001). Principles for the prevention and intervention of mathematics difficulties. Learning Disabilities Research & Practice, 16(2), 85-95.